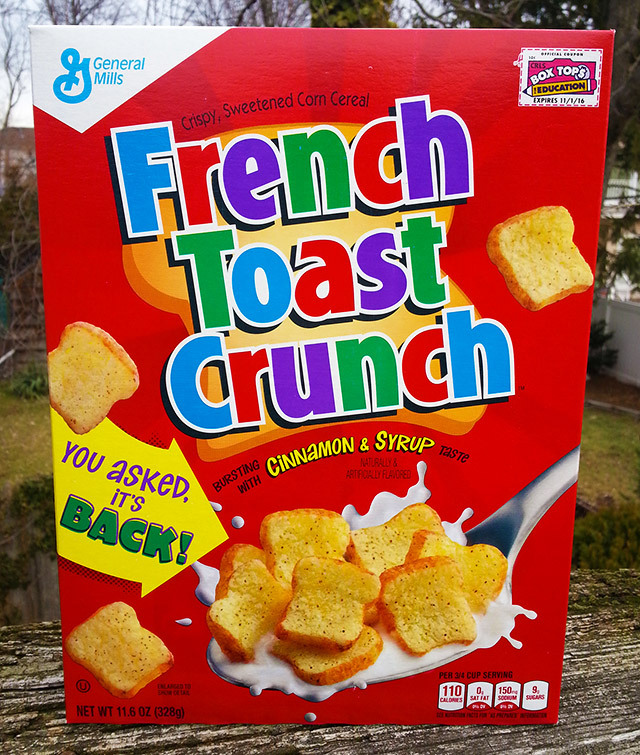 French Toast Crunch is back! | Dinosaur Dracula! I know I’m late on the draw and that 99% of you have already heard the news, but for the remaining 1%: French Toast Crunch is back! 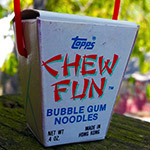 The cereal debuted in 1995 but was discontinued in 2006. 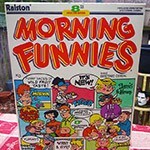 From then until now, you could only find French Toast Crunch on “DO YOU REMEMBER EATING THESE?” listicles, sandwiched between photos that were callously stolen from Dino Drac. 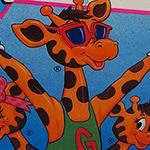 General Mills didn’t just catch wind of the growing nostalgia — they made it their main selling point. 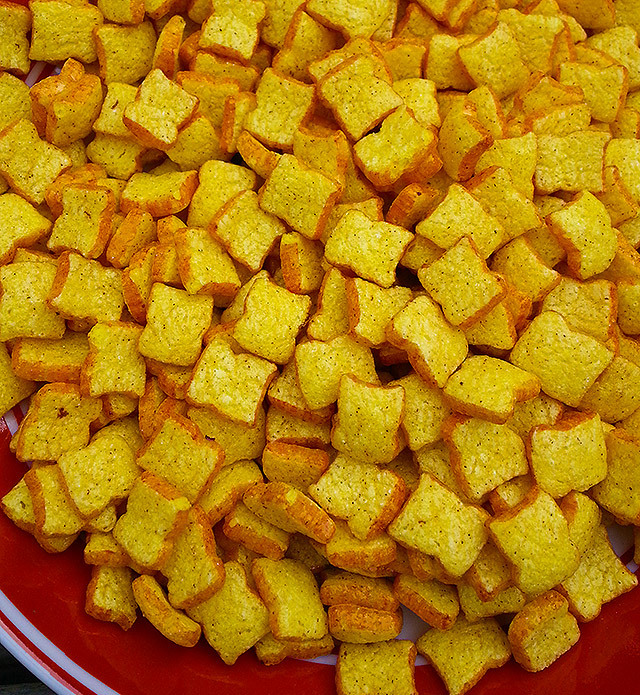 French Toast Crunch is being marketed almost as a relic, celebrated not just for what it is, but for the bygone years it reminds us of. The box design is mostly unchanged, with the same fiery red background and the same perfectly arranged spoonful of cereal. 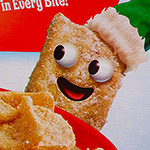 Embedded above is the original French Toast Crunch commercial, complete with music that will remind you of the closing credits to at least three dozen failed Fox sitcoms. While at heart a Cinnamon Toast Crunch spinoff, the truth was that it did the whole “miniaturized real food” thing even better. …and with this revival, now it’s still doing it better. The cereal is as picturesque as it is delicious, with each piece looking like a dollhouse-scale slice of legitimate french toast. 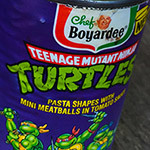 Eating this will make you feel like a kaiju. I didn’t pay close enough attention to the original to know if General Mills has changed the formula, but even if they did, the main bullets are the same. Each golden piece has a syrupy glaze that keeps it from crumbling, while the overall flavor is almost supernaturally akin to “real” french toast. 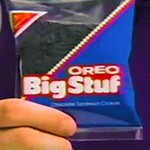 It’s like astronaut food without the chalkiness. 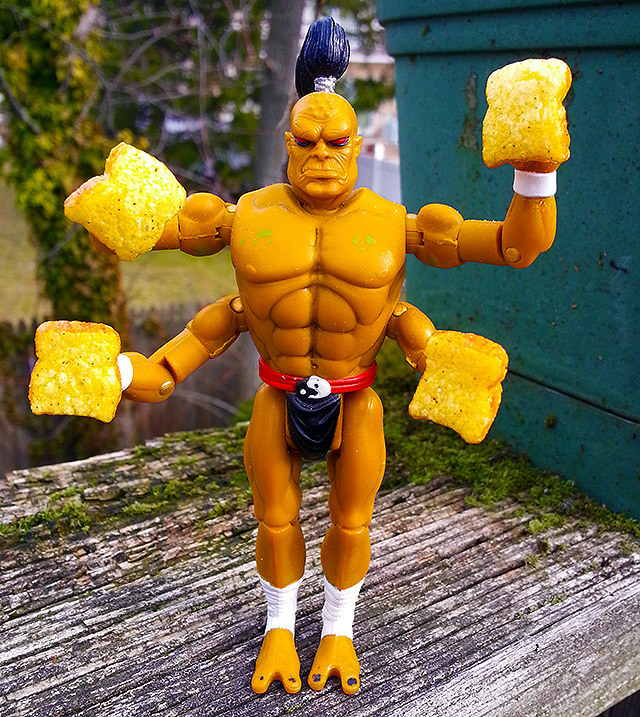 Of course, the best thing about French Toast Crunch is its scale. Thanks to Goro’s modeling efforts, you can see how the pieces look like perfectly miniaturized slices of french toast, right down to the alien freckles. Also, if you peer past Goro’s loincloth, you’ll notice that his genitalia is weirdly blocky. Everything I’m covering today is kinda sorta square. 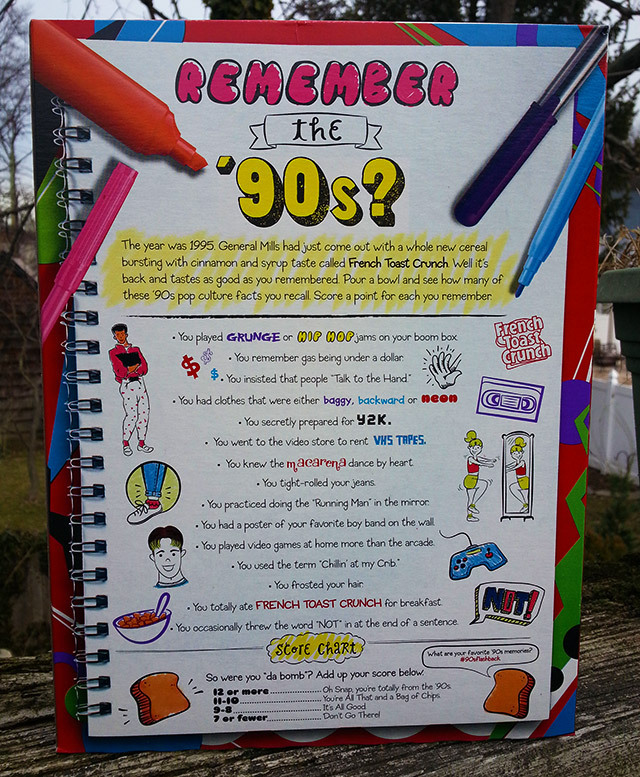 The back of the box is stuffed with ‘90s references, covering everything from the Macarena to hair frosting kits. I normally don’t like my nostalgia fixes to be so on-the-nose, but this time, the approach works. For adults, eating cereal already acts like a grab at childhood. This just puts a stamp on it. Is French Toast Crunch back for good? Frankly, given how tasty and thematic it is, I’m surprised it died in the first place. The best way to keep it on store shelves is by eating it for breakfast, lunch and dinner, seven days a week. It sounds daunting, but since all you’re being asked to do is eat cereal constantly, it really isn’t. Welcome back, French Toast Crunch. Up in heaven, Wendell is bragging to so many angels.